Sun TV Network’s movie production arm – Sun Pictures will be handling the production of Endhiran, which stars Rajnikanth and Aishwarya Rai Bachchan. The movie was earlier being produced by Ayngaran International, which is a part of Eros International. Endhiran is directed by Shankar and has music by AR Rahman. The film is slated to release in Hindi, Tamil, Telugu and other languages by the end of next year. The movie boasts of CG, special effects and stunt sequences and will have top notch technicians from Hollywood working on it. Sun TV Network chairman and managing director Kananithi Maran said, "This is a big moment for Sun Pictures as we feel this is going to be India’s biggest movie. We are very happy to be associated with Rajniknath, Shankar and AR Rahman. With this, Sun Pictures shall scale greater heights internationally." Shankar added, "I am proud to be associated with Sun Pictures and join hands with Mr Kananithi Maran, working with superstar Rajnikanth is a pleasure. Already there are high expectations for this project and by joining hands with Sun TV, the hugeness of this movie will be further highlighted." 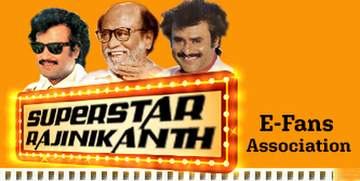 Rajnikanth said, "This is India’s biggest movie and I am very happy to work with Sun Pictures and Mr Kananithi Maran." At the time of filing this report, Eros International officials were not available for comment.